WhatsApp is the most famous mobile messaging platform till date. The popular instant messenger is easy to use but it has some hidden features and tweaks that we tend to miss out on. Moreover, WhatsApp keeps on adding features discreetly, so it’s important for us to be up to date. However the only aspect that the path to complete freedom is the limited file size of attachments. Whether its a video, or a picture, you can’t exceed the 16 MB size limit. So Here is a trick to increase it! There is not much to do, and you can increase the 16 MB limit to as far as 2GB. This means you can not only send videos, pictures and music but also movies which are not limited to the 16mb mark!! • Now Open the Root Browser app. • Open data and press Data again. 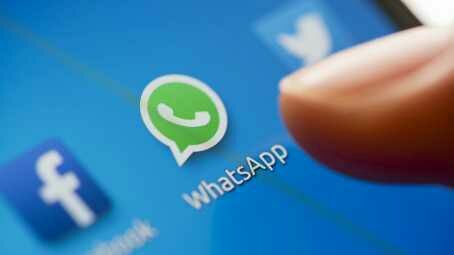 • Long tap on com.WhatsApp_prefrences and press Open with. • From the list of given apps , open RB Text Editor. • You will see the file opened with the text editor. • Now you must find these key words from the text provided . • Now change the number 16 to your desired value. • The numbers replaced are in MBs and should be set to the maximum of 2048. • Now you should save and exit the file. • Now Reboot your device on time and check your WhatsApp File Sharing Limit is increased to 1024 MB!